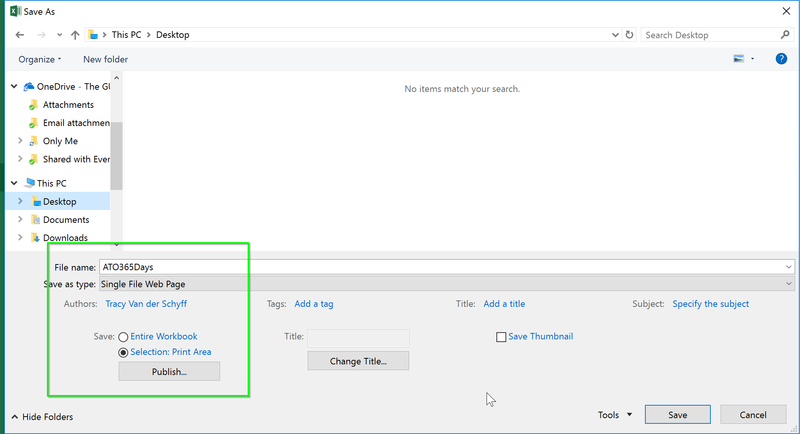 #Office365Challenge Here’s a feature I’ve used quit often, but most probably not for what it was intended for. 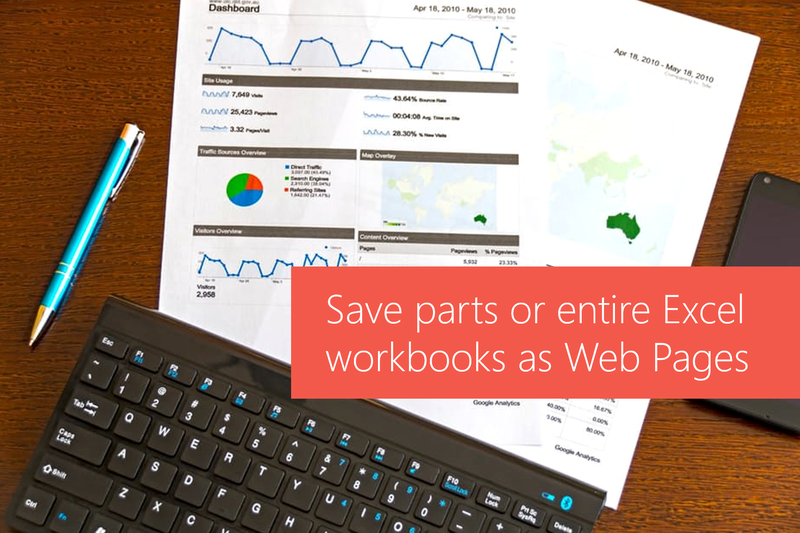 The ability to save parts of full workbooks in Excel as web pages allows us to expose data on a web page – without people having to open Excel. As mentioned, I’ve used this quite a bit in the past. 1 Creative Girl (minus) SharePoint Designer (plus) Desire to build promotional web pages for launches (minus) ability to write code (equal) Excel. I would build images in Excel with hyperlinks on – then publish it as a web page, copy the folders to SharePoint, then link the html page for more information on launches. It would become a clickable, multipage manual. So yes – not what it was intended for – but it worked like a charm!! Read more on how I did this. I’m no expert on publishing files to the web, for more information, read the Microsoft article listed above.